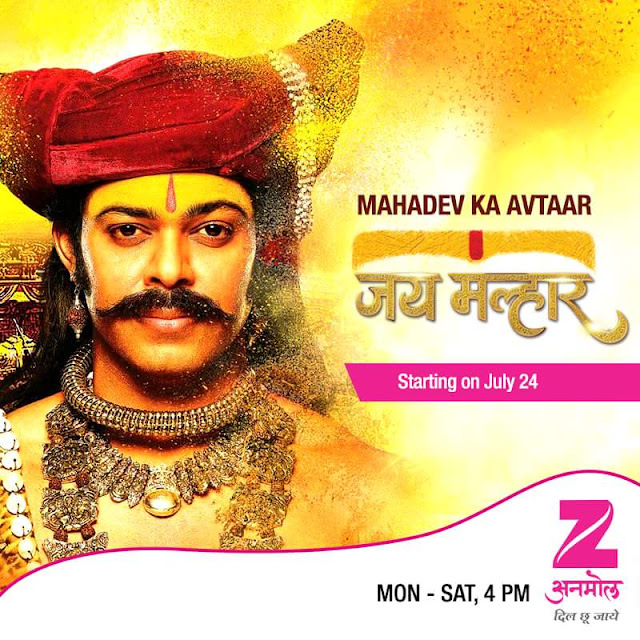 Zee Marathi’s popular soap opera ‘Jai Malhar’ is all set to make its debut on ZEEL’s free-to-air (FTA) channel Zee Anmol by new title Mahadev Ka Avtar Jai Malhar on 24 July at 4:00 pm. It is a mythological epic based on the life of Khandoba , the reincarnation of Lord Shiva. The show is about Khandoba's courage, magnanimity and prowess. He is also known as Malhar fondly & worshipped across Maharashtra & beyond becoming the family deity of majority of Maharashtra. His devotees express their devotion by shouting & chanting aloud Yelkot Yelkot Jai Malhar.